Simplistic expressions of blue tones and shades for the perfect elegant home or office decoration. Effortless style with a stunning visual delight. 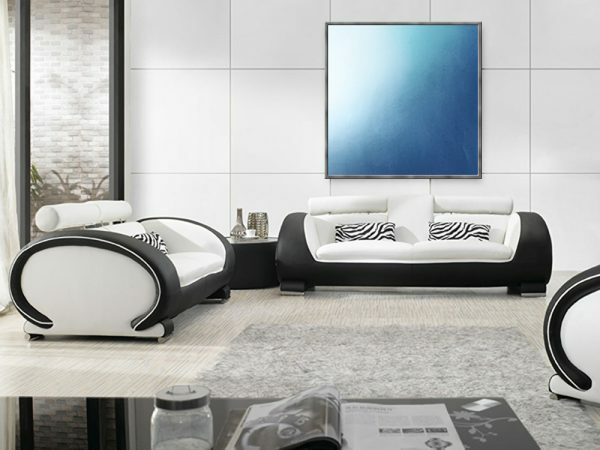 This original large hand painted abstract oil art piece includes a polished high-end thick silver metal floating frame, ready to hang.